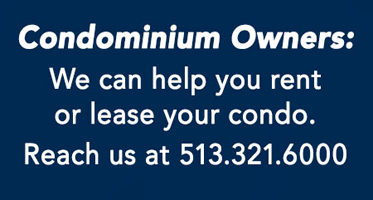 As of April 2019, there is ONE residence available. General Information: This downtown Cincinnati condominium is urban industrial architecture at its finest. Behind the industrial facade are some of the most interesting living spaces in the city! A very interesting feature of this building is that the Jack Casino is directly across the street. The Jack Casino, has added a lot of value and excitement to the area. In addition to the gaming, there are restaurants and a wide variety of entertainment. It should be noted that a nearby arts center is also very popular. Industrial architecture is perfect for this building because it was once a glass factory - thus the name. Much of the glass that helped to build Cincinnati was produced here. During renovation, the developers found glass remnants and incorporated them into very cool hanging glass sculptures. You know you're in a unique residential building when you enter the lobby. It's actually a modernist work of art. The individual residences are - what else can be said but - they are very cool. Kitchens are fully appointed. Counters and floors are concrete. Bathrooms have very clean lines. A couple of other interesting features about this building are the Rooftop deck and the lower level Wine Cellar. The Rooftop deck is something special - offering phenomenal city skyline views. The wine cellar includes a bank of locked wine cabinets and a tasting room - which can be used as a party room. This is a somewhat 'low profile building with a decidedly high style interior." Note the Low HOA - mid to upper $100's. If interested in selling - or - leasing your property, you should know that we are partners with the most far reaching real estate marketing powerhouse of any local real estate company. As partners with Sotheby's International Realty, we are part of a network of over 22,500 agents in well over 960 offices in 70 countries around the globe. We share referrals when available. If there's a buyer or renter for your home, we can find them! Buying, Selling or Leasing, The Glass House experts: Lee, Stacy or Clint can help! The lobby entrance door, right. The urban industrial design is very cool. This is part of the building foyer. Residents tend to be younger and appreciative of the numerous options for entertainment within a few blocks. Unusual for downtown, a fireplace. The above photo shows the secure garage entrance, the photo below shows the spacious, clean interior. The lower level common room, complete with wine lockers. Each residence has direct, inside access to the garage.